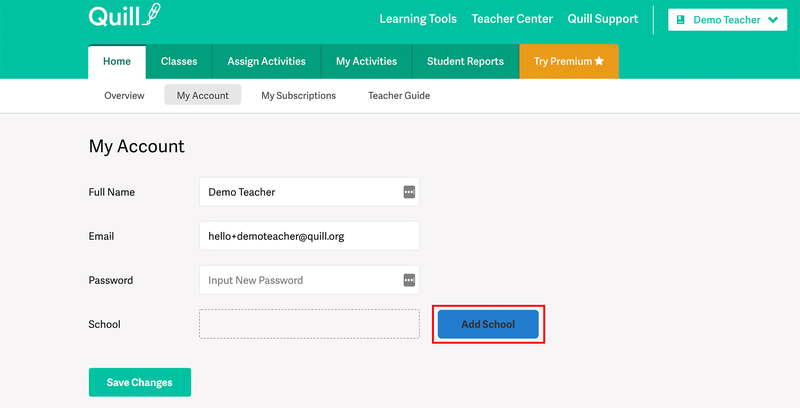 Adding your school name to your Quill account is a helpful way for other educators in your school to collaborate with you. Educators can share student accounts within multiple classrooms. To add your school, go to your teacher dashboard and then select "My Account." In your account, you'll see a section named "Add School." 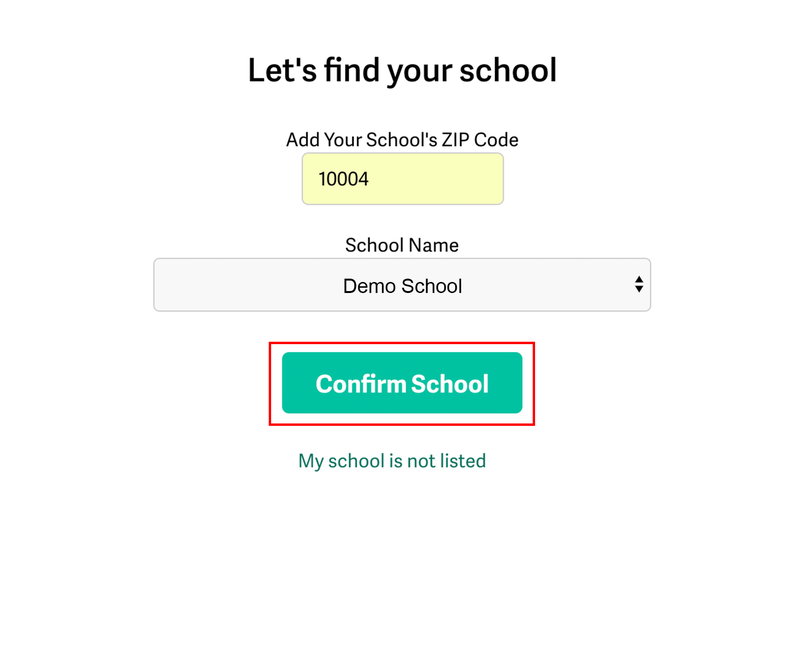 Type in your school's zip code, and you should see your school's name as one of the options. Then click "Confirm School."